As the multiple investigation got underway, British Home Secretary Theresa May and Dubai police speculated Saturday that the two rigged parcels could have exploded on aircraft before they reached their Chicago addresses. A broadening multinational investigation seeks to probe the scale of the al Qaeda air freight plot causing mayhem in the international cargo freight system on the assumption that the threat is still viable. Yemen, to which two explosive parcels bound for Chicago synagogues were traced, itself seized more than 30 suspect parcels before they were loaded on outward flights. Yemeni President Ali Abdullah Saleh said Saturday, Oct. 30, that a woman suspected of sending the explosive parcels had been arrested in Sanaa on the basis of US and intelligence. Debkafile’s counter-terror sources say Yemeni claims of success should be taken with a pinch of salt. Saleh is eager to show results in his probe as he is under pressure from Washington to show fast results and he has high hopes for financial rewards. Above all, his army is fighting a losing war against Al Qaeda’s inroads in Yemen and therefore unlikely to be able to contest the terrorist infrastructure which set up the package plot. Were it not for a tipoff from Saudi intelligence identifying the UPS and Fedex bomb parcels directed from Yemen to Chicago on separate cargo planes, they would not have been discovered before they blew up. Even so, debkafile’s counter-terror sources report, al Qaeda chalked up a coup by successfully penetrating and paralyzing the main intercontinental air mail systems. 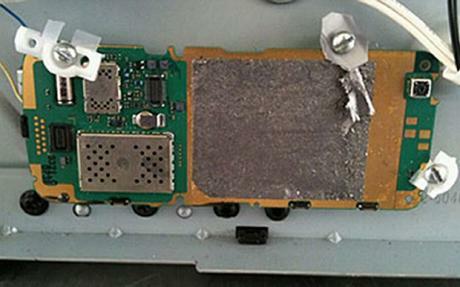 The packages taken off planes at the British East Midlands airport and Dubai Friday, Oct. 29, and rendered harmless were affixed to separate detonators- a cell phone SIM card SIM card and a trigger. President Barack Obama reported a credible terror threat to the United States Friday night and pointed to Al Qaeda in Yemen (AQAP). He said two Chicago synagogues were targeted, but did not specify to which of the 140 Jewish places of worship in the Chicago area the packages were addressed. The city is the president’s political base. His outgoing chief of staff mayoral candidate Rahm Emanuel and his wife attend Anshe Shalom. The United States, European and Middle East airports went on high terror alert after Washington was informed of a bomb threat to the US by means of air cargoes Thursday night. All the same, local airport security authorities in the US, Britain, Germany, France and Dubai were not aware of the threat and let the packages go through to their destinations. Suspicion was first aroused at the East Midlands airport by a photocopier ink cartridge with wires and white powder. Our sources report it contained PETN (pentaerythritol trinitrate) explosive material disguised by a chemical coating. This was the same substance used by the “Underpants” bomber Farouk Abdulmuttalab when he failed to blow up a Delta passenger flight last Christmas and “Shoe Bomber” Richard Reid nine years ago. After that, cargo planes with freights originating in Yemen were kept back on arrival at Philadelphia and Newark, NJ international airports for thorough screening. Intensified security measures at all US airports for passengers as well as freight and the public advised to be extra vigilant. Friday, as confusion mounted over the nature of “attack”, dozens of alarms were phoned in during the day from different parts of America. They included sightings of two UPS pick-trucks in Queens and Brooklyn, an unaccompanied bag on a street bench which caused part of San Francisco’s financial district to be temporarily evacuated and a knapsack outside a courthouse in Portland, Maine. Linda Haase, the associate vice president of the Jewish Federation of Metropolitan Chicago, said Friday that synagogues in the area had been on alert since being informed of a potential threat. She referred to threats to synagogues and the White House and mentioned “black powder.” The reference to the White House as later dropped from the report. Obama’s statement stressed that the terror threat was still in force and US security and intelligence services were on guard to protect US citizens, friends and allies. The Transport Security Agency was ordered to intensify security checks at all American airports. Saturday, the US media disclosed that Saudi intelligence had been the source of the tipoff to Washington about dangerous air freight on its way to the United States providing the consignment numbers of the bomb packages. 1. Without the Saudi tipoff, the bomb-parcels would have remained undetected and reached their targets. Meanwhile, Al Qaeda has succeeded in breaching the intercontinental air freight system, one of the wheels which makes Western economies go round and can claim a tactical success. 2. Although PETN had been used by failed al Qaeda’s bombers on international flights in the past, several airport security agencies at ports on the routes of the cargo flights failed to detect the presence of this explosive substance. 3. While only two packages have been identified as dangerous, there may be more still be found in meticulous sweeps of many tons of freight – or even delivered. Their presence refutes the first theory widely held by terror experts that the plot was a dry run to probe for weak points in the intercontinental air freight system. 4. The imposition of heightened security for air cargo comparable to that applied to passenger traffic would throw the mail industry into chaos, causing extreme financial losses and disrupting an important branch of the Western economy. That too would be accounted by al Qaeda a major success – at very little cost to itself. A woman has been arrested in the Yemeni capital on suspicion that she was involved in sending two explosive devices found on cargo planes bound for the United States, the president of Yemen said Saturday. Security officials went to a house in Sanaa, the Yemeni capital, to arrest the woman a day after the plan was thwarted on Friday, President Ali Abdullah Saleh said. He told reporters the United States and the United Arab Emirates provided him with information that identified the woman as a suspect. Yemeni security officials said the woman was detained as authorities search for a number of suspects believed to have used forged documents and ID cards that played a role in the plot. 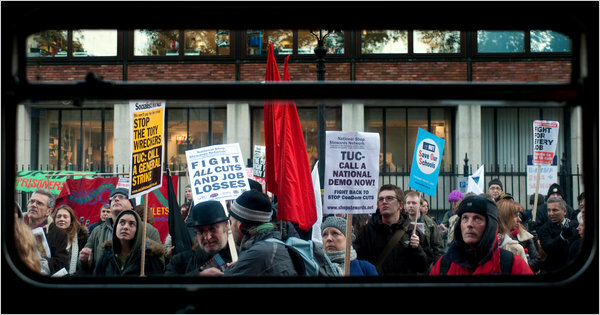 Photo: Demonstrators in London marched on Wednesday against the $130 billion in spending cuts proposed by the government. LONDON — The British economist John Maynard Keynes (http://topics.nytimes.com/top/reference/timestopics/people/k/john_maynard_keynes/index.html?inline=nyt-per) may live on in popular legend as the world’s most influential economist. But in much of Europe, and most acutely here in the land of his birth, his view that deficit spending by governments is crucial to avoiding a long recession has lately been willfully ignored. In Britain, George Osborne, chancellor of the Exchequer, delivered a speech on Wednesday that would have made Keynes — who himself worked in the British Treasury — blanch. He argued forcefully that Britons, despite slowing growth and negligible bank lending, must accept a rise in the retirement age to 66 from 65 and $130 billion in spending cuts that would eliminate nearly 500,000 public sector jobs and hit pensioners, the poor, the military and the middle class because of what he insisted was the overwhelming need to reduce the country’s huge budget deficit. In Ireland, where the economy is suffering through its third consecutive year of economic slump, Keynes is doing no better. Devastated by a historic property crash and banking bust, the Irish government is preparing another round of spending cuts and tax increases. Combined with what Dublin has already imposed, the cuts could add up to as much as 14 percent of Ireland’s gross domestic product, an extraordinary amount for a modern industrial country. Ireland’s budget deficit reached 32 percent of total economic output this year. Indeed, across Europe, where the threat of a double-dip recession remains palpable, governments from Germany to Greece are slashing public outlays. 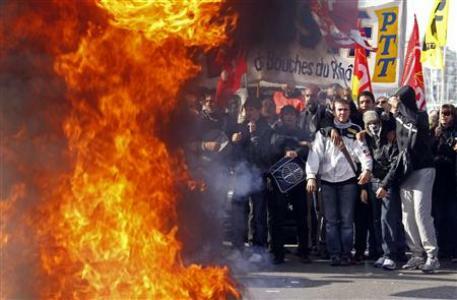 But even as students and workers in France clash with the police and block fuel shipments to protest a rise (2-year rise from age 60 to 62) in the retirement age, the debate in Europe is more on how fast to cut government spending rather than whether such reductions are the right thing to do under the circumstances. “Everything Keynes established about the primacy of maintaining demand at a steady pace is gone,” Brad DeLong, a liberal economist and blogger at the University of California, Berkeley, said mournfully. Joseph E. Stiglitz argued that the British government’s plan was “a gamble with almost no potential upside” and that it would lead to lower growth, lower demand, lower tax revenues, a deterioration of skills among the unemployed and an even higher national debt. “We cannot afford austerity,” he wrote in The Guardian. Mr. DeLong and others on the left have long argued for more stimulus spending in the United States and abroad to lift growth, even if deficits rise temporarily as a consequence. This is particularly true in Britain, where a combination of collapsing tax revenues and government spending to prop up banks and support the unemployed during the financial crisis has contributed to a budget deficit equal to 11 percent of gross domestic product, second highest in Europe after Ireland. LONDON — The British government on Wednesday unveiled the country’s steepest public spending cuts in more than 60 years, reducing costs in government departments by an average of 19 percent, sharply curtailing welfare benefits, raising the retirement age to 66 by 2020 and eliminating hundreds of thousands of public sector jobs in an effort to bring down the bloated budget deficit. PARIS (Reuters) – One of France’s biggest unions called on Thursday for further “massive” strike action next week against a planned pension reform that has triggered the biggest and most sustained anti-austerity protests in Europe. A final Senate vote on President Nicolas Sarkozy’s unpopular bill is set to be speeded up to make sure it happens on Friday, a parliamentary source told Reuters, following pressure from the government as protests and fuel blockades drag on. Sarkozy, a conservative who is determined to face down unions and force through an increase in the retirement age, is battling 10-day-old refinery strikes and fuel depot blockades that have dried up a quarter of the nation’s petrol pumps. The arrival of a new Middle East player startled Washington and Jerusalem: debkafile’s military sources disclose that when Turkish Prime Minister Tayyep Erdogan met Syrian president Bashar Assad in Damascus Monday, Oct. 11, they talked less about the Kurdish question and more about the role China is willing to play in the military-intelligence alliance binding Syria, Iran and Turkey. 1. From Sept. 20 to Oct. 6, the Turkish Air Force conducted its regular annual Anatolian Eagle exercise, this time without US and Israeli participation. Israel was not invited and America opted out. However, their place was taken by Chinese Sukhoi Su-27 and Mig-29 warplanes making their first appearance in Turkish skies. 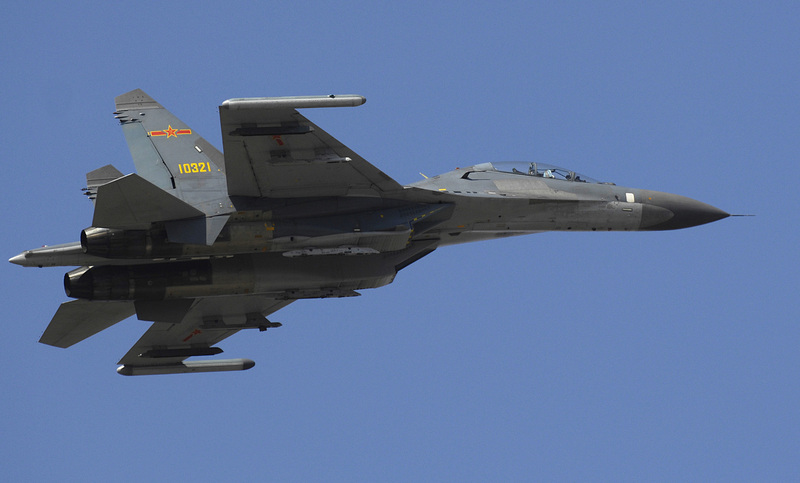 Our military sources report that the Chinese warplanes began touching down at the big Konya air base in central Turkey in mid-September for their debut performance in the Middle East and Europe. Konya has served NATO and the United States for decades as one of their most important air bases. 2. Our sources add that the Chinese planes refueled only once on their journey to Turkey – in Iran. When they touched down at the Gayem al-Mohammad air base in central Iran, their crews were made welcome by the Iranian air force commander Gen. Ahmad Migani. It was the first time Chinese fighter-bombers are known to have visited the Islamic Republic. The Gayem al-Mohammed facility, located near the town of Birjand in South Khorasan, is situated directly opposite the big American base of East Afghanistan near the Afghan-Iranian border town of Herat. Farmers in Australia are preparing for the worst invasion of locusts for up to 75 years, with fears millions of pounds worth of crops could be destroyed. In the past few days, aircraft have begun spraying farmland with insecticides to try to slow the march of billions of the insects before they mature and begin to fly. Queensland, New South Wales, Victoria and South Australia are all affected, with hundreds of farmers reporting that locust eggs have begun hatching on their land. A record number were laid in autumn, and the conditions have been perfect for them to thrive, with the country enduring its wettest September on record after years of drought. 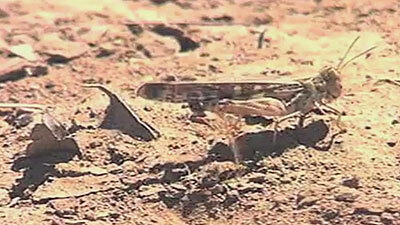 The weather is also helping the farmers but their hopes of a best-in-a-decade harvest are now threatened by the locust invasion. Steve Wahn, the primary industries minister in the New South Wales government visited a site near Bourke this week to see for himself the tiny insects which are infesting fields. He calls it “a plague of biblical proportions”. “We are seeing survival rates of 80% or more from the locusts, whereas in a normal year you’d only get 20% or so which could survive. This is a huge challenge for us,” he said. There is now a race against time to spray the insects before they begin to fly. For the first few weeks of their life the tiny nymphs or “hoppers” are relatively easy to deal with, even though they begin to form huge bands which can travel 100 miles a day. Aircraft can spray the fields and as the bugs travel through the insecticide they die. But those which survive will eventually form huge fast moving clouds which can cover a wide area and devour entire crops within days. Simon Oliver, the state’s deputy plague locust commissioner, says he has been shocked by how rapidly the insects have already increased in number. “If we don’t get them in the next 10 days we may lose them as this temperature heats up they’ll start to fledge and fly. Farmer Scott Mitchell found signs of infestation in the land where he grazes his sheep. He and his neighbours have been looking forward to some relief after several years of drought conditions. “We’ve just come out of one natural disaster and this is just something else we have to put up with,” he said. Wheat farmers in the area could be hit hard. “They’re looking at the best crop they’ve had in a long time and they need their crop to get out of financial trouble so if they get down and wreck that it’s going to be probably a bigger disaster than we’ve had in this whole drought really,” Mr Mitchell added.